The strongest entry since the 1960s is in place and soon the shouting will stop as the action gets underway in earnest on the Mountain Course. 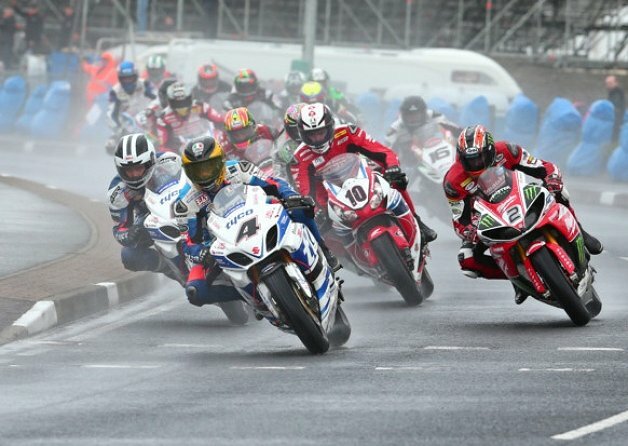 It wouldn’t be the TT without portions of drama, excitement, tension, controversy and, it has to be said, sadness. The TT has never been seen by a wider audience with literally tens of millions able to watch footage across the globe throughout the coming months. The organising team has assembled a startling line-up of riders and the course has never been in better condition - with safety precautions for competitors and spectators foremost in everyone’s mind. Although Douglas promenade is no longer the cavalcade of bikes it was - once described as the biggest bike show in the world - the TT fans are now billeted in hundreds of private homes across the island in addition to the many regular hotels and boarding houses, not to mention many hundreds more under canvas in numerous camp sites and sporting venues. The event has grown beyond all proportions in recent years and, more importantly, commands the respect it enjoyed back in its heyday when household names such as Geoff Duke, Bob McIntyre, Mike Hailwood and Phil Read ruled the roost. Hang on to your hats and your seats for the greatest spectacle in the world.